She has uploaded new pictures to Flickr, I think she looks very adorable and elegant in this dress! Yes and the shoes are great too! I simply adore this doll. Lena did an amazing job with her. 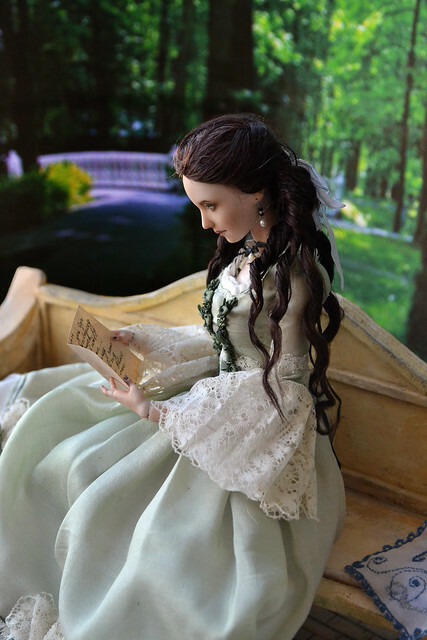 I love this doll, Lena has captured her personality beautifully. And I adore the dress- right up my street for style and fabrics- wonderful!! 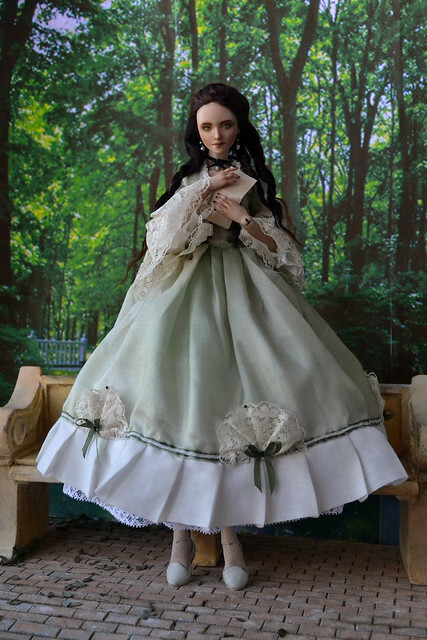 I have to admit that Lillian is my doll and she is coming very soon. As soon as i saw Lena's WIP pictures of Lillian, i feel in love with her. But when i saw her when she was all painted and dressed, i thought that she is absolutely gorgeous. I can not wait to see her. I am very excited about this beauty. 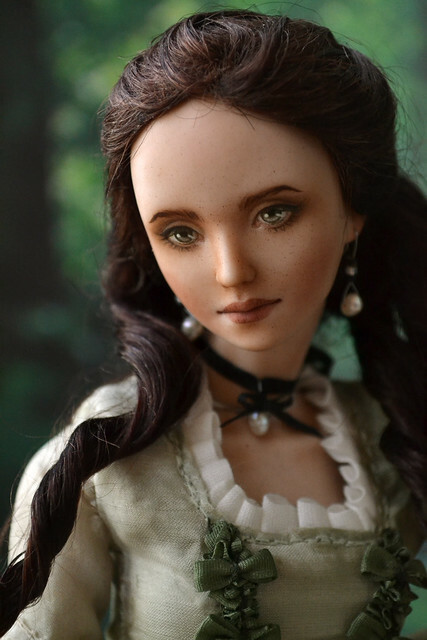 She is gorgeous- congratulations ivdolls! I'm glad she is coming to live with someone on the forum so we can still see pictures from time to time!! Congratulations! 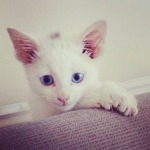 I am eager to se your pictures! Dear friends, thank you very much for your words! But today I can finally officially present Lillian to you. She is the first doll of my new series "Sweettouchdoll Classic". 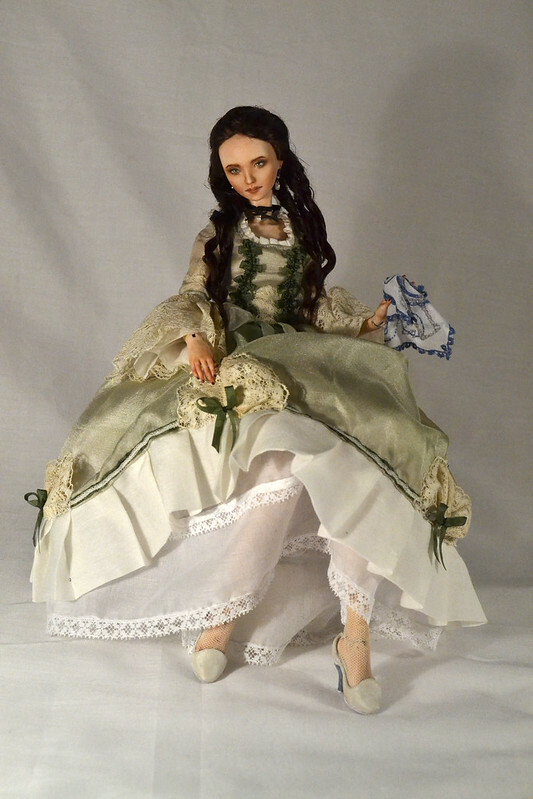 This doll is made of porcelain, painted with china paints and assembled on elastic cord. Joints are glued with natural leather. Mohair wig is fixed on the magnet. Her height is 34 cm (about 13,4 inches). 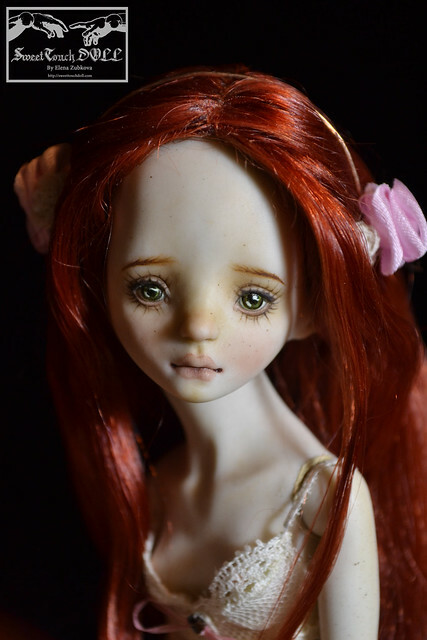 Mold Lillian is one of a kind and will not be repeated anymore! By creating Lillian I wanted to show the aesthetics of the Age of Enlightenment. But despite the loose morals of the time, my character turned out fairly well-bred girl, aspiring to high ideals) Because the lily is a symbol of innocence. Lillian wears batiste pants, batiste petticoat, stockings of antique lace and dress made of vintage silk. Besides, the dress is also decorated with batiste, antique lace and silk ribbons. Shoes covered with natural silk. The earrings and pendant with freshwater pearls completes this look. Beautiful- you have put so much love and care into creating her! I love her face, she looks so lovely. I adore her little freckle detailing Her lips are particularly stunning. She is stunning, and against that background she looks so real. I just saw the pictures of two most adorable, little girls. 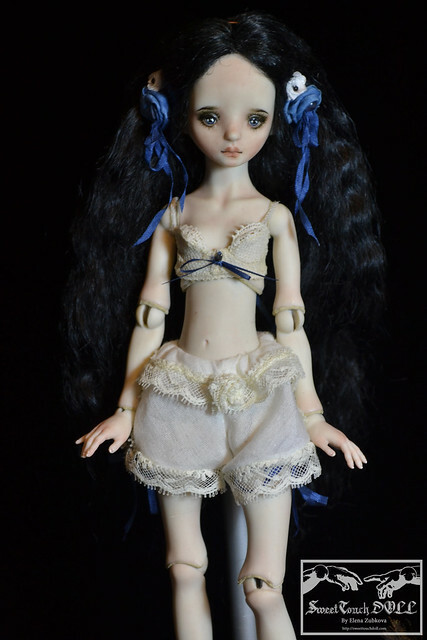 New dolls by Elena. Even though i have three of my own at home, i can't stop admiring her new work. They are so beautiful! I always love small dolls!